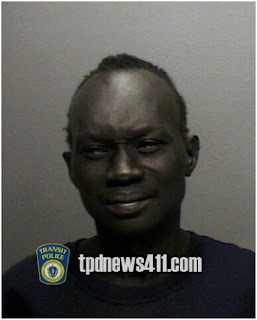 Dorchester man relieves himself on TPD sub-station. Arrested. 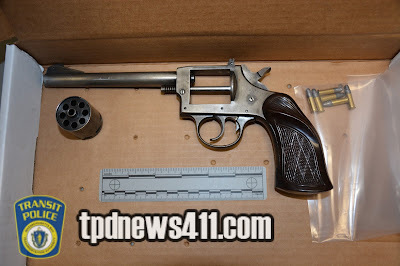 On May 30, 2016 at approximately 8:30PM Transit Police officers assigned to the South District were patrolling MBTA Mattapan Station when their attention was drawn to a male, later identified as Timothy Chace, 33, of Dorchester. Chace was urinating directly to the right of the back door which leads into the Transit Police substation. Officers approached Chace and subsequently discovered there were active warrants in existence for his arrest issued out of Dorchester District Court for 3 counts of Assault & Battery. Chace was placed into custody and transported to Transit Police HQ for the arrest booking process. In the early morning hours of March 9, 2016 a construction crew was inside the MBTA's Government Center station working towards the completion of the station's renovations. As the video depicts the interior of the station was lighted, at approximately 3:30AM a male, not affiliated with the construction crew, walked into the station and began to take pictures. An investigation suggests the male did not stay for an extended period of time, did not pose a threat to the construction crew within and was more of a curiosity seeker. Based on the totality of the circumstances no criminal charges will be sought. 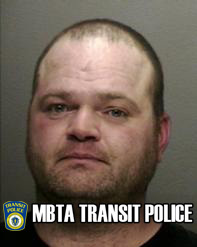 On May 22, 2016 at approximately 10:30PM Transit Police officers assigned to the North District received a radio call to respond to the MBTA's Wellington Station for a report of a male who committed a public act of Lewdness. Upon arrival officers were met by the victim, a female, who furnished the following information: while the victim was travelling on an inbound Orange Line train in the vicinity of Chinatown Station she observed a male, later identified as Gabriel Majok,, 37, of Boston committing a lewd act while attempting to engage the victim in conversation. Officers approached Majok and placed him into custody for Open & Gross Lewdness and transported him to TPD HQ for the arrest booking process. On May 16, 2016 at approximately 9PM members of the Transit Police MOP Unit, as a direct result of community concerns, were patrolling MBTA bus stop shelters in the vicinity of Washington and East Lenox Street's along the Silver Line. While there the officers observed a male, later identified as Eric Higgins, 39, of Arlington loitering in the bus shelter. Officers noticed that approximately 3 Silver Line buses had approached the stop Higgins was located yet he failed to board any of the buses. Officers approached Higgins to explain he could not loiter in the bus shelters. As the officers were conversing with Higgins an observant TPD Officer observed what he believed to be a firearm positioned directly under the bench were Higgins was sitting. 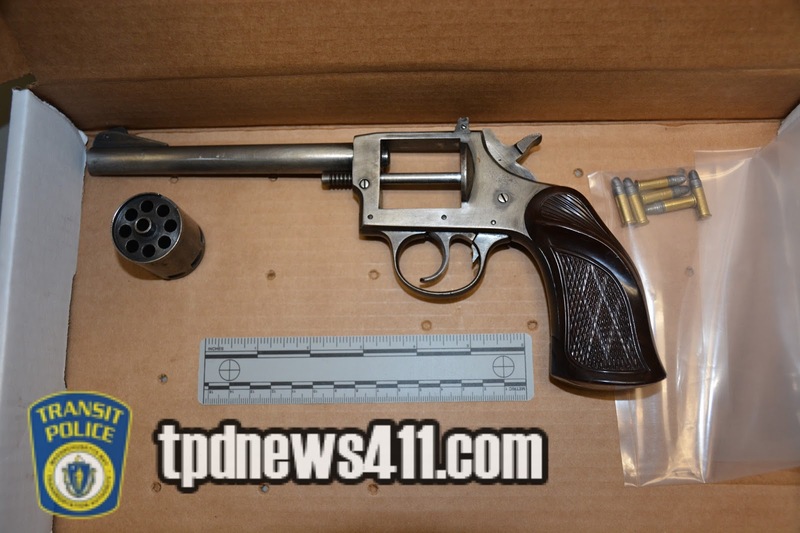 Officers immediately seized the firearm and determined Higgins was not duly licensed to carry a firearm. Higgins was placed into custody for Illegal Possession of a Firearm, Possession of a Firearm w/Defaced Serial Number, Unlawful Possession of Ammunition and Carrying a Dangerous Weapon. (Officers also recovered a Dirk Knife from Higgins' possession). It is expected Higgins will be arraigned sometime today in Roxbury District Court. 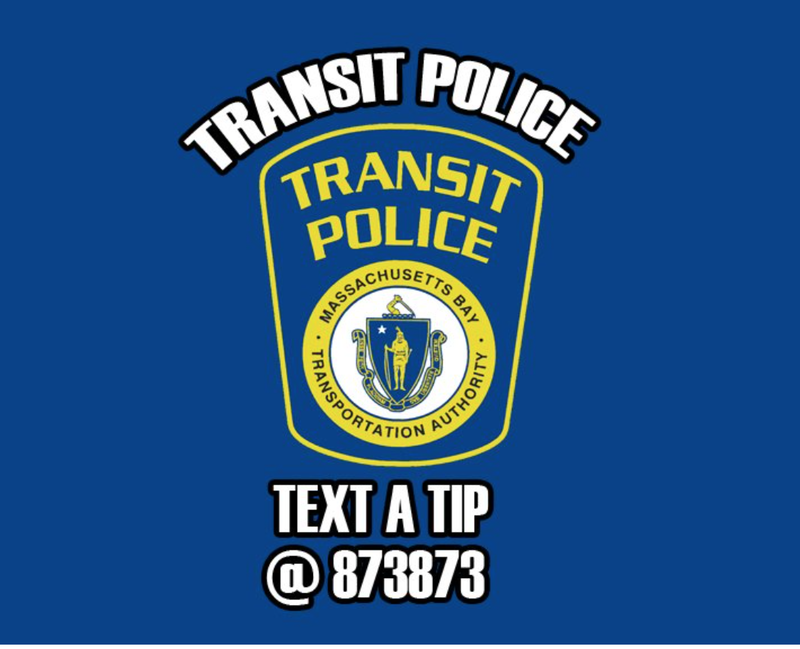 On May 15, 2016 at approximately 2:40PM Transit Police officers assigned to the South District received a radio call to respond to 230 Western Ave in Allston for a report of an assault on an MBTA bus operator. Upon arrival officers observed a male, later identified as Jason Santos, 36, of Belmont bleeding from his knuckles. 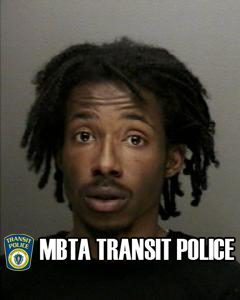 Officers then ascertained the following; a Route 86 MBTA bus while traveling in the vicinity of 300 Western Ave was passed by Santos who was operating a Toyota Scion. Shortly thereafter when the bus operator attempted to pull into the bus stop in the vicinity of 230 Western Ave he was prevented from doing so by Santos' vehicle who was blocking the bus stop. The MBTA bus operator was forced to stop in the middle street to allow passengers to disembark which caused delays for vehicles behind the bus. At this time Santos' got out of his vehicle and approached the driver side of the MBTA bus and violently punched the window forcing it to shatter with shards of glass hitting the bus operator in his face and torso area. The MBTA bus operator was treated for possible shards of glass in his eyes by Boston EMS. Santos claimed the bus operator cut him off and he was simply going to remind him to "use his mirrors" next time. Santos was placed into custody for Malicious Destruction of Property and Assault & Battery on a Public Employee and transported to Transit Police HQ for the arrest booking process. On May 9, 2016 at approximately 9:20AM Transit Police officers assigned to the North District were conducting Point of Entry Policing at the MBTA's Malden Center Station. While there they had their attention drawn to a female, later identified as Kelley Capobianco, 32, of Malden, who fare evaded by "piggybacking" in behind a paying customer. 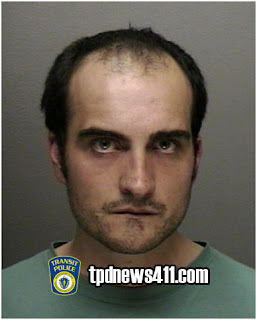 Officers approached Capobianco for the purpose of issuing a citation. However Capobianco furnished several fictitious names in an attempt to mislead the officers. Officers explained that failure to identify oneself after fare evading could lead to arrest. Capobianco still refused to reveal her true identity and was placed into custody and transported to Transit Police HQ for the arrest booking process. During the booking process it was discovered there were several warrants in existence for Capobianco's arrest issued from Malden District Court for various drug violations. 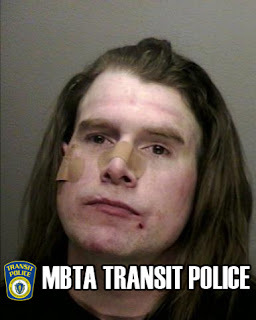 Trespasser struck; NON life threatening injuries MBTA Broadway. 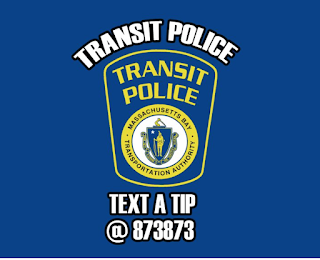 On May 8, 2016 at approximately 2:36PM Transit Police officers assigned to the Central District received a radio call to respond to Broadway MBTA station for a report of person possibly struck by a train. Multiple Transit Police units responded along with Boston Fire & EMS. 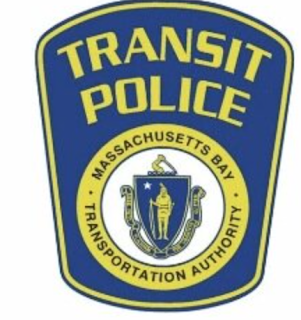 TPD personnel on scene report the following preliminary information: a male, approximate age of 55, while trespassing on the southbound track at MBTA Broadway station was struck by a train and sustained serious but NON life threatening injuries. The male was transported to a local area hospital for emergency treatment. NO foul play is suspected. 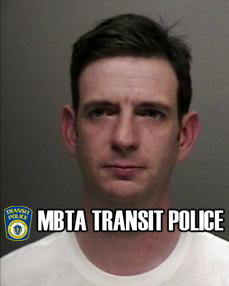 Transit Police detectives are currently investigating the facts and circumstances surrounding the incident. No further information will be released. On May 5, 2016 at approximately 10:25AM Transit Police officers assigned to the Central District received a radio call to respond to the CVS located within the MBTA South Station Commuter Rail for a report of a shoplifter. Upon arrival officers spoke with employees of CVS who provided them with a description of a female who had stolen items from their store. 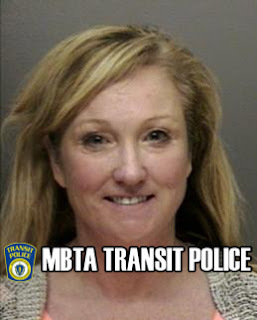 Within minutes officers located a female seated at the bar inside Tavern In The Square Restaurant, also located within MBTA South Station, who matched the description provided. Officers soon discovered the female, later identified as Roberta St.John-Maynard, 48, of Billerica to be in possession of merchandise from CVS of which she did not pay for. St. John-Maynard was placed into custody for Shoplifting and transported to Transit Police HQ for the arrest booking process. During the booking process it was revealed St John-Maynard had warrants in existence for her arrest issued from Lowell District Court for Drug Violations and Leaving the Scene-Property Damage and Clinton District Court for Driving with a Revoked License. Terrell Alves arrested again for Indecently Assaulting a 14 year old female. 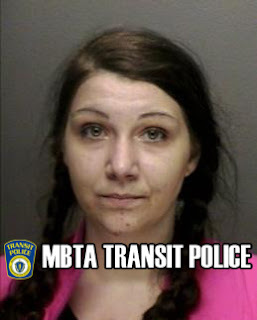 On April 27, 2016 the Transit Police received a report from a 14 year old female who was indecently assaulted while at the MBTA's Downtown Crossing Station earlier that same day (approx. 8AM) . Transit Police detectives, after a thorough investigation, identified the assailant as , Terrell Alves, 25, homeless. On today's date (05/03/2016) TPD detectives located Alves in Kenmore Sq. and placed him into custody for Indecent Assault & Battery. Alves will be arraigned sometime tomorrow in Boston Municipal Court-Central Division.